The ValCam with zoom camera uses a high-grade CCD sensor with industry leading optics to give you the best image possible. Video Associate Labs (VAL) is the leader in image capture for ID card solutions. Unlike other cameras that try to get by with lower grade components, VAL Cam goes the extra mile. With the ValCam 9000-628 you can be sure you are receiving the best image possible for your ID cards. The ValCam features an improved white balance options that gives your ID images the perfect balance of light and dark. The flash technology gives you the best image possible. Whether the photo needs to be done up close or at a distance this flash can handle it. No matter the lighting conditions, your photos will not look overly dim or washed out.And due to the positioning of the flash on this unit, no more red eye! 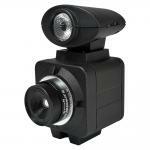 If you need the use of a professional photographer flash adapters are available for use with this camera. Thanks to the TWAIN-compatible support the ValCam Camera with Zoom will work right out of the box with all popular applications. You can immediately take control of all aspects of the camera via the mouse or keyboard. With the live high-quality preview you can zoom in and out, adjust brightness, and see how your image is going to look before you capture the image.The camera also supports live cropping in the preview mode, this eliminates an extra step later and saves time in ID card creation. The camera features auto focus so you can zoom in and out and be sure that your image will always be in focus. Along with these features you also get adjustment with flesh tones. Instead of just hue and saturation you are also provided color intensity control as well. Your ID cards will look better than ever! With the ValCam you have the option of using their SDK (software development kit) so that you can integrate the ValCam with your custom ID card solution.The SDK comes with working examples in C/C++, .NET, and Visual Basic. The ValCam Zoom makes photo capturing easy and simple. 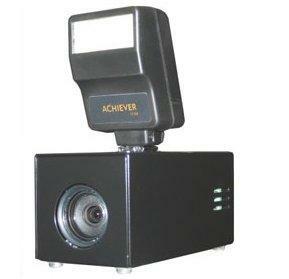 The flash is directly controlled and integrated with the camera. No batteries or extra cables needed. Only one connection to your computer with the USB interface. Capture the perfect photo in any condition,even in dark rooms. Ultra fast image transfer to your ID software package, images are saved as JPG, BMP, or to the system clipboard for pasting in to the application. The camera also features an administrative lock, once you have the camera set like you want, you won't have to worry about someone tampering with the settings.